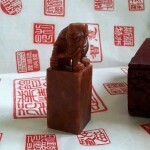 Chinese Clay figurines have long played an important role in the Chinese folk culture. The making of such clay figurines has become an exclusive, one-of-a-kind handicraft. China has established many cultural centers for the display of such handicrafts abroad. Clay figurines were very popular during the reign of the Qing and Ming dynasties. Some of the most famous pieces, amongst all, were the Huishan clay figurines, made in Wuxi of Jiangsu province, and the Zhang clay figurines, made in Tianjin. 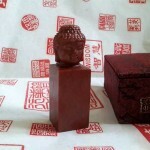 The Huishan clay figurines are of a different style and are usually sold with plates. They are also made of special clay, which is available in Huishan Mountain. 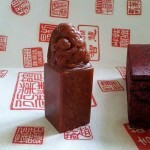 The significance of the clay is said to be its excellent plasticity and smooth texture, which is perfect for sculpting. Huishan figurines reached the height of their development as well as production during the Qing dynasty from the reign of EmperorTongzhi to Emperor Guangxu. On the 60th birthday of empress Dowager Cixi, the local official of Huishan gave her a clay figurine set titled “Immortality Peach Gathering.” From then on, Huishan clay figurines have received recognition as articles unto the Imperial Court. Wuxi of Jiangsu province is renowned for his Huishan clay figurines. As far as processing is concerned, there are two types of figurines. Figurines can be made by molding, like toys. These tend to be mass-produced in larger quantities.Figurines can also be made-by-hand, like the Huishan clay figurines. The latter are more detailed, and often portray characters from folk tales. Appealing colors like red, green, blue, and yellow are often applied to these figurines to make them more eye-catching and attract customers. Many folk artists sell the Huishan clay figurines in the trade fairs or during festival seasons, and have even made a living from it.